So then I thought, I should have something to send before they ask for anything, so it short-circuits that whole process. If they like it, maybe they’ll hire me based just on that. And then I thought, send out actual books! Eh. Too expensive to buy, too time-consuming to personalize, too expensive and time-consuming to ship. Maybe a simple marketing piece. Well, I make books. So maybe it should be a brochure that shows some books I’ve done. Not the covers, though, I don’t do the covers. Just the interiors. 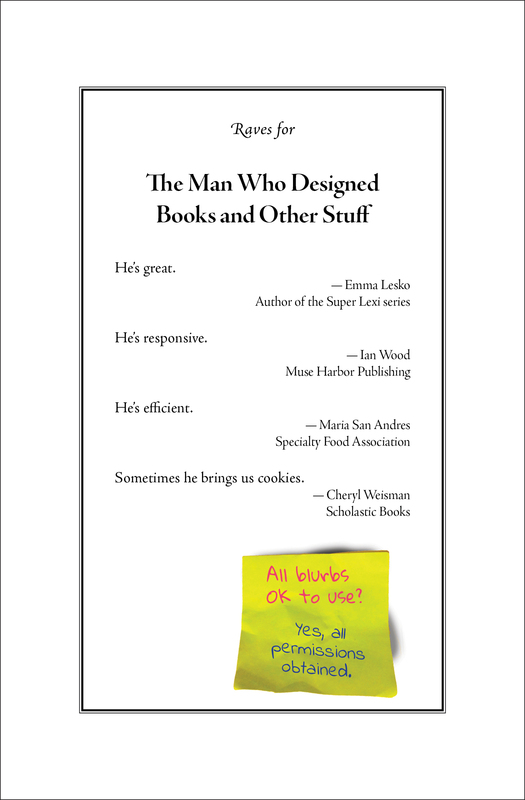 You know, a bunch of little white rectangles with teeny text, rotated jauntily along the edges of the brochure, and some zingy marketing copy in the middle: SEVERAL KINDS OF BOOKS IF YOU DON’T SEE IT HERE I CAN STILL DO IT PROBABLY THANKS! 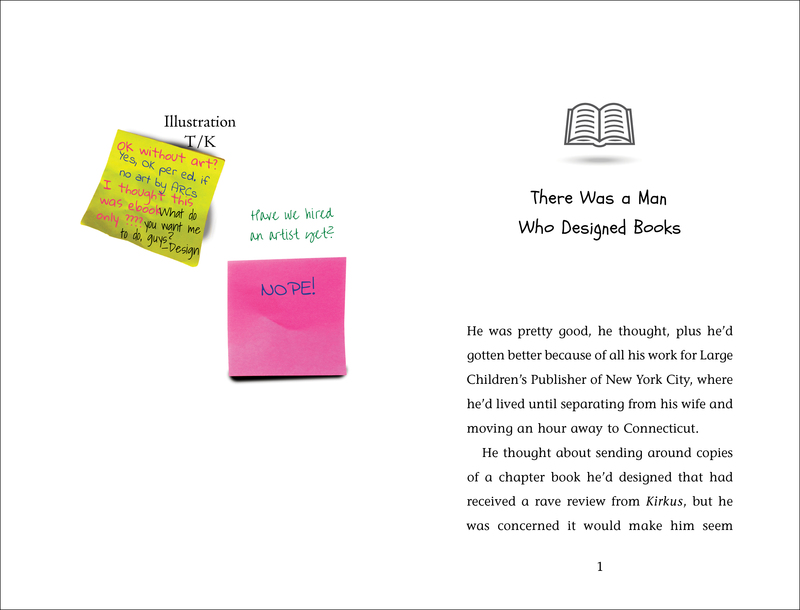 Then I thought, I make books. My marketing piece should be a book. 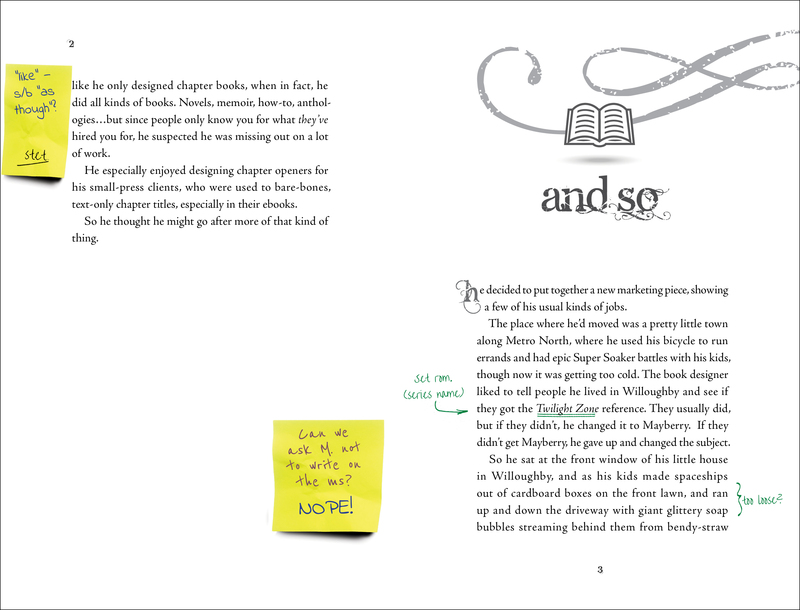 A book in which each spread looks like a different kind of book that I’ve been hired for. Two months later, still working on it, I thought, this really needs to be done faster, and I can’t send it anywhere until it’s finished. But wait…could I serialize it at my blog? Oo, I could add editorial comments! Like it’s not done yet! That would actually be fun! 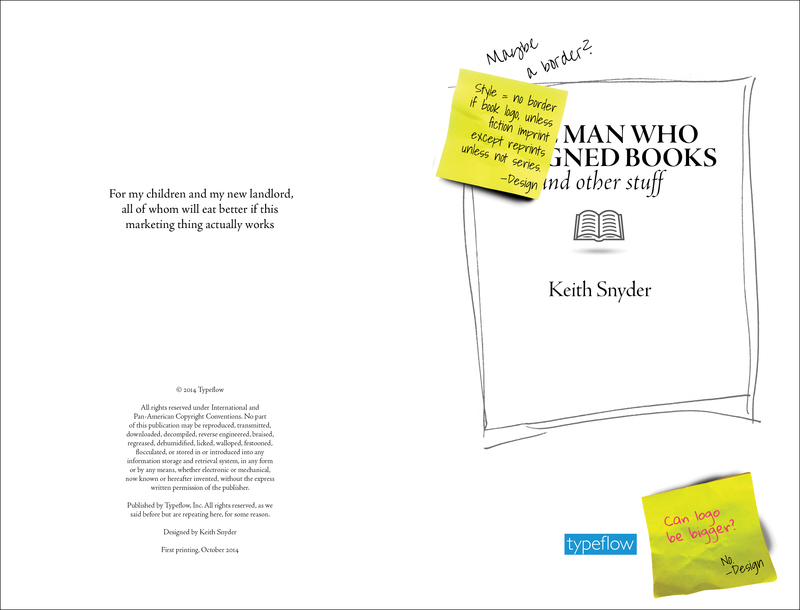 So here’s the first installment: The front matter and first two spreads of THE MAN WHO DESIGNED BOOKS And Other Stuff. Coming in 2015 to a marketing effort near you. You should add, “He’s really funny.” — Lori Snyder. Little sister. And he’s a really cool dad!